What are data-driven organizations doing to protect the privacy of confidential information—and is it too much, or not enough? Do data security restrictions ever delay or thwart your business initiatives? 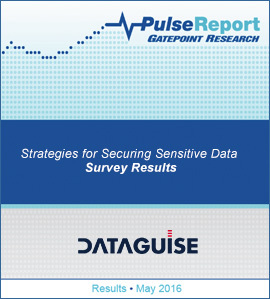 How confident are you of the location and protection of all of your organization’s sensitive data? Who would be held accountable if you had a data security breach? Has your organization ever failed a data security audit? Complete the short form to receive your copy of the survey results now.